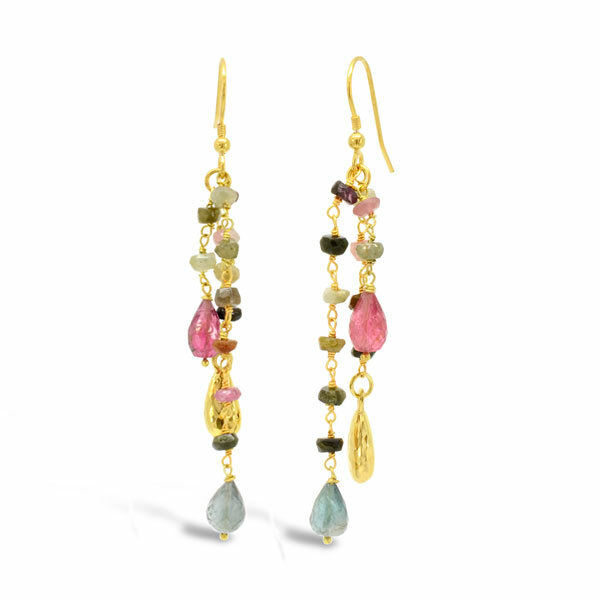 Silver or Silver gilt (gold plated silver or gold vermeil) tourmaline earrings. 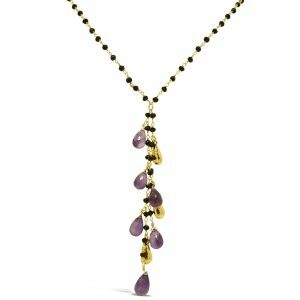 A multi coloured tourmaline 3mm faceted beaded chain ending in hammered teardrop charms and faceted pear shaped tourmalines of different colour. Tourmalines naturally occur in pinks, greens, blues, yellow and oranges. Occasionally you will see more than one colour in one stone. The green ink contract is referred to as watermelon tourmaline.